Bhubaneswar: Fifteenth Finance Commission chairman NK Singh today said that very significant progress has been made in reducing poverty in Odisha, although poverty numbers are still higher than national average. “Very significant progress has been made in reducing poverty in Odisha, although poverty numbers are still higher than national average. Per capita income too has seen significant improvement, but it still has a long way to go,” said Singh in a press conference here after meeting with Chief Minister Naveen Patnaik and his Ministers and officials. Earlier in the day, Chief Minister Naveen Patnaik, during a meeting with the Singh and his team today, sought a special package of Rs 1,500 crore to build more cyclone shelters and improve disaster warning system in the State. The Chief Minister suggested the panel to increase tax devolution from 42% to 50%, making cess and surcharges as part of divisible pool, use of 1971 population as devolution criteria, extension of GST compensation for another ten years and clean energy cess to be spent in coal mining areas. “Our pace of transformation has been remarkable and our growth has been inclusive. Unfortunately successive Central Government have ensured that Odisha remains at the bottom in tele-intensity, Railway network, Banking, Highways compounded by neglect in Industrial corridor, coal royalty, Drinking water and Irrigation and cutting off funds for Scheduled Areas and KBK,” said Patnaik. 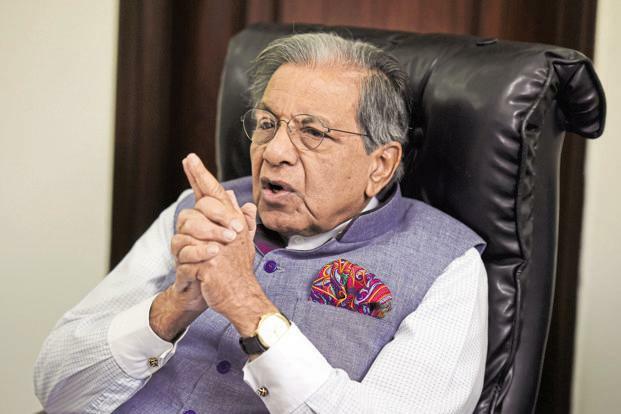 Notably, a team of 15th Finance Commission led by its Chairman NK Singh is on a five-day visit to Odisha from December 7.